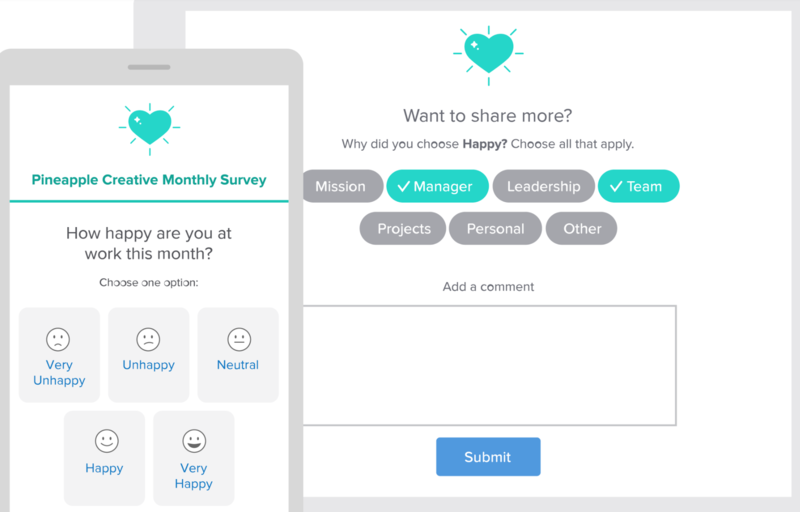 Once you have enabled team insights, your employees will receive an email with two questions. How happy are you at work this month? Want to share more?